A quality social media management company can help your school build its online and offline reputation, increase and maintain its customer base and most importantly, increase revenues. They can also help your brand get connected with blogs, social bookmarking such as Digg, Facebook, Linkedin and even video sites. Being social is the game! Often schools start campaigns on one or more of the destinations but fail to either effectively manage them to their potential or keep them updated and fresh which can leave a sour opinion of your brand. 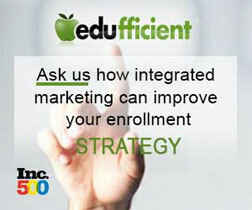 Specializing in higher education, offering both paid and organic social media management.